When it was announced that Intel was giving its Haswell line of CPUs a speed bump very recently, the smart money immediately went on those chips finding their way into Apple’s MacBook Pro and, if this leaked photograph is to be believed, that’s exactly what is going to happen. 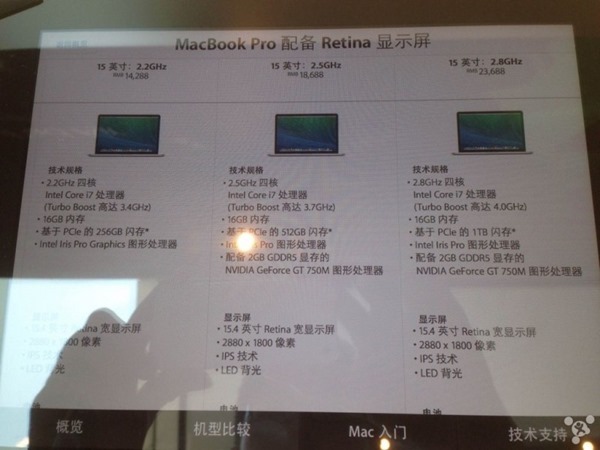 Supposedly taken at the company’s Chongqing, China store, the photo shows three new configurations for the 15-inch MacBook Pro with Retina – all featuring the speed-bumped Haswell processor. The three machines all pack a full 16GB of RAM, which is an increase from the 8GB that was standard in the lower-end model, and pack improved processing speed thanks to those aforementioned chips. The first model weighs in at 14,288 Yuan and the second at 18,688 Yuan. Both come with that 16GB of RAM with the lower-spec of the two featuring a 2.2GHz CPU. That’s up from the original 2.0GHz part, for those trying to keep score. The second of the machines also features a 200MHz jump in processor speed, with a new 2.5GHz chip beating at its heart. All these chips are Intel’s latest i7 Haswell variety, and all come with the company’s Iris Pro graphics, too. The two more expensive configurations also come with NVidia’s GeForce GT 750M for some added oomph, as well. The second oft hose high-end configurations features a 2.8GHz i7 Haswell chip and a 1TB SSD for 23,688 yuan. All these speed jumps fit perfectly with what Intel outlined as its Haswell improvements, and represents a small but worthwhile jump in speed for MacBook Pro with Retina buyers. Furthermore, the price of all three has stayed the same even though they’ve received more beefy CPUs and that low-end model gained an extra 8GB of memory. There really has never been a better time to buy a new portable Mac. Well, at least until we find out whether that rumored 12-inch MacBook Air is a real thing or not. buy it before apple screws it with their os x.x “update”, which is as ugly as a piece of boiled crap. Sadly mistaken! The new OS X 10.10 Yosemite looks awesome. 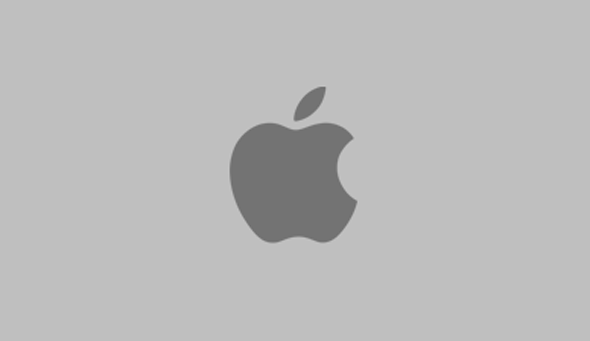 Easily Apple’s best OS. The best thing for OS X was to let Ive take over it from a design perspective. Agreed. At least the flatness isn’t at all completely flat and 2-dimensional as with Windows 8.x.